Bacon and eggs are a well-known dynamic duo; team them up with avocado and toast, and you've basically got supergroup status! Evenly spread toast with avocado, and sprinkle with salt and pepper. What makes this recipe extra special? 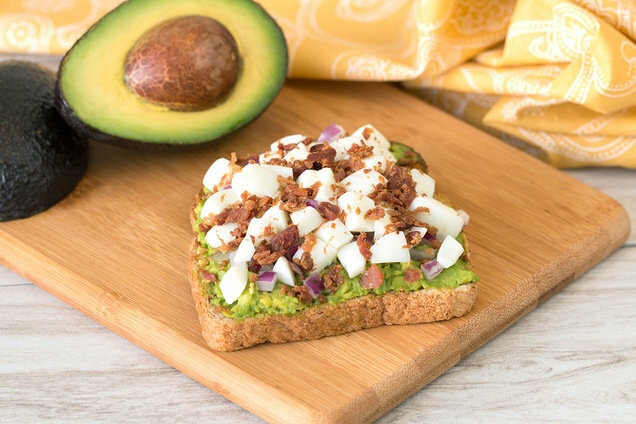 We mixed some feta into the avocado -- major upgrade! Meanwhile, in a small bowl, stir 1 tbsp. feta cheese into the avocado. 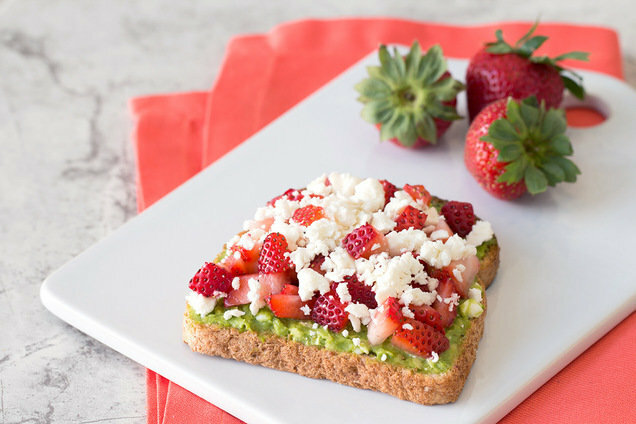 Evenly spread toast with avocado mixture, and sprinkle with pepper. Top with strawberries and remaining 1 tbsp. feta cheese. Hungry for More Healthy Avocado Recipes? Pass around these super-simple recipes, and get your pals crunching! Click "Send to a Friend" ASAP.